Caption: PRIME Minister and People’s National Congress party leader, Peter O’Neill accompanies supporters during the nomination of Moresby North-west candidate, Michael Malabag and Moresby South, Justin Thatchenko in the nation’s capital before the nomination close, Thursday. MORE than 2000 candidates have nominated to contest the 111 seats in the 2017 National General Elections. The figure is expected to change with some provinces having difficulty sending in their final figures on Thursday afternoon. The nomination for the candidates officially ended on Thursday 4:06pm, April 27, 2017 with a total of 2614 (preliminary figure) nominated nationwide. According to a electoral commission spokesman, more figures will be coming into the PNG Electoral Commission head office but due to communication difficulties, the figures were not arrived on time when Sunday Chronicle went to press on Thursday night. PNGEC Media Officer, Alphonse Muapi said the Electoral Commissioner, Patalias Gamato will make a final announcement of the confirmed figures of the candidate’s nomination tomorrow. The provinces with confirmed candidate nomination figures are National Capital District provincial seat with 37, Moresby North West 38 and North East 51 with a total of 141. Eastern Highlands Province with 48 nominated for provincial seat, Daulo open 50, Goroko 31, Henganopi 38, Kainantu 57, Lufa 41 Obura-Wonenara 47, Okapa 53 and Unggai –Benna 31 with a total of 396 candidates. About 21 candidates were nominated for Hela Provincial seat, 28 for Komo-Magarima, 25 for Koroba- Lake Kopiago, and 18 for Tari –Pori with a total of 92 candidates. There were 25 nominated for SHP Provincial seat, while 10 for Pangia-Ialibu, 18 for Imbonggu open, Kauga-Erave 33, Mendi 12, Nipa-Kutubu 19 totaling to 117 candidates. Western Highlands Provincial seat 22, Dei 27, Hagen Central 13, Mul-Baiyer 18, Tambul-Nebelya 18 with a total of 98 candidates. East Sepik Provincial seat 17, Ambunti-Drekirkir 22, Angoram 17, Maprik 16, Wewak 16, Wosera-Gawi 18, Yangoru-Saussia 10 with a total of 116. West Sepik Provincial 32, Aitape-Lumi 19, Nuku 9, Telefomin 16,Vanimo-Green 21 total of 97 candidates. 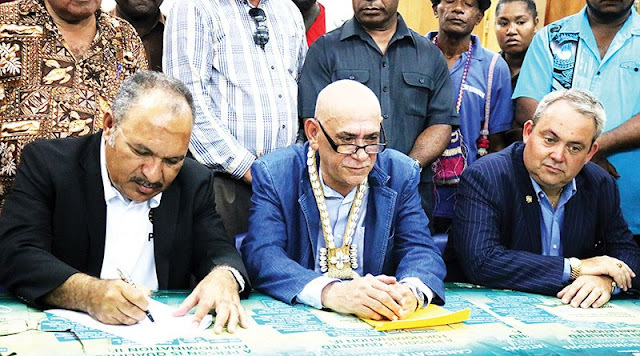 Morobe Provincial seat 25, Bulolo Open 24, Finschafen 42, Huon 35, Kabwun 24,Lae 49, Markham 26, Menyamya 22, Nawae 43, Tewae-Siassi not updated but the total candidates for Morobe province stands at 290. Madang Provincial 31, Bogia 40, Madang open 27, Middle Ramu 35, Rai Coast 36, Sunkar 46 so the total candidates nominated stands at 216. East New Britain Provincial 19, Gazelle 17,Kokopo 25, Pomio 14, Rabaul 6, total of 81 candidates nominated. West New Britain 19, Kandrian- Gloucestor 17,Talesia 32, total of 68. New Ireland Provincial 15, Kavieng 22, Namattanai 9, total 46. AROB Provincial 9, North Bougainville 31, Central 21 and South Bougainville 12, total 73. Manus Provincial 26, Manus Open 34 with a total of 60 candidates nominated. Central Provincial 27, Abau 24, Rigo 39, Kairuku-Hiri 27, Goilala 30, total 147. Oro Provincial 31, Sohe 42, Ijivitari 32, total 105. Western Provincial 47, North Fly 52, Middle fly 3, South Fly 1, total 103. Gulf Provincial 47, Kerema 51, Kikiro 47, total 147.